We are currently offering a free download of the associated story, "Zebra Stripes"! Click here to download a copy, as well as three other stories and a free Back-to-School Guide for Parents and Teachers. In "Zebra Stripes," a story from The Willowbee Tree series, 6-year-old Clancy is starting first grade this year, and worries that he won't fit into the class or find good friendships. Then, the Willow Tree takes him to meet an African Zebra who has similar worries, and the two of them realize that everyone is unique and special in their own way, and so, everyone belongs. As Clancy learns, each of us is absolutely unique...just like everybody else. But isn't it wonderful that we needn't let our differences keep us from being friends? That we can love the things about ourselves that make us special, but still belong to our families, classes, and teams? This week's craft project is a celebration of some of that uniqueness—it's a self-portrait. 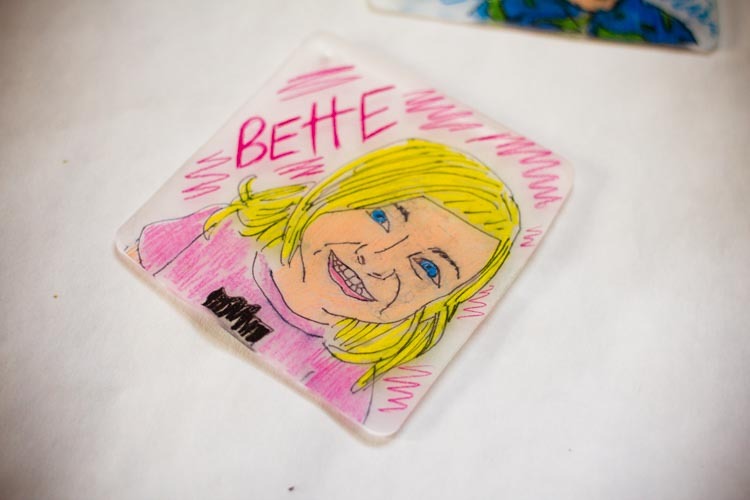 But it isn't just any self-portrait—oh, no!—this week we're going a bit retro and making self-portraits out of shrinky dinks! If you remember shrinky dinks from your own childhood, you'll know that they're almost magic the first time you use them. You draw a picture on the thin plastic, put it into the oven for a few minutes, and then, out it comes, a thick, miniature version of what it was. 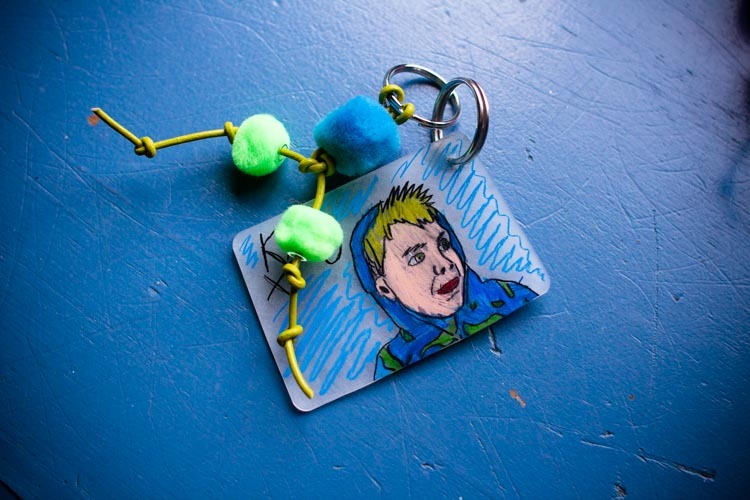 While you can use shrinky dinks for keychains and charm bracelets, in a nod to Clancy going back to school, these are meant to be attached to a backpack zipper. Find a photo that shows your child's unique personality, and lets get started! 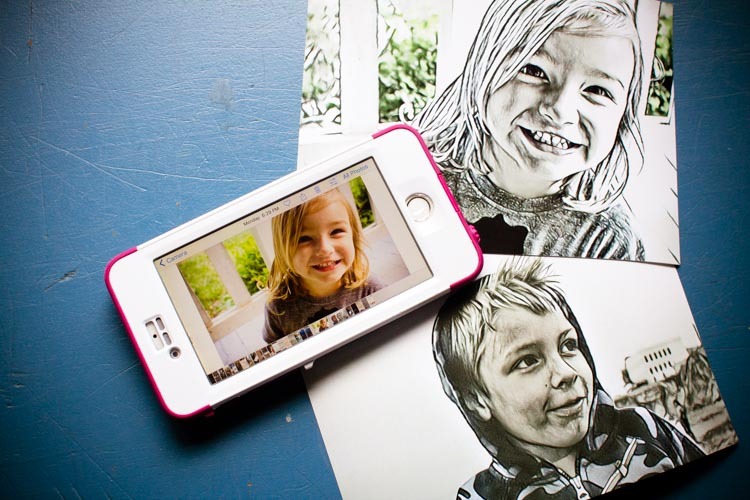 Start with a favorite digital photo of your child, and use photo editing software to turn the photo into a sketch. (I used Prisma, and was able to do it all on my phone.) 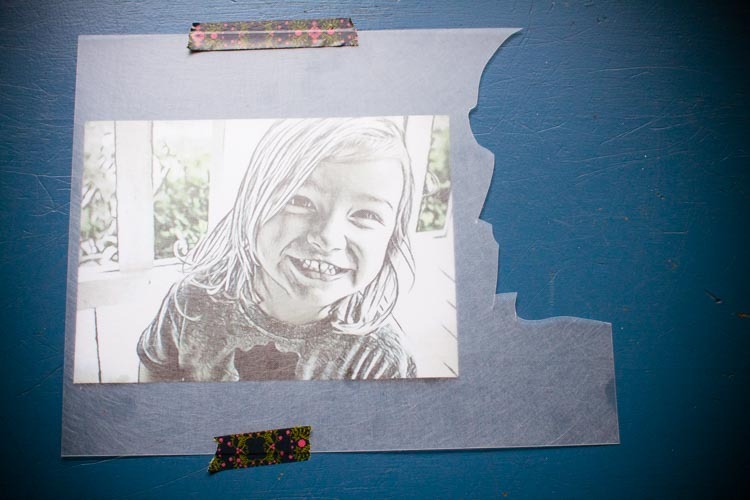 Then, print the sketch or have it printed by a photo lab. Remember, the end product will shrink to about 1/4th the original size, so I suggest starting with a 5x7. 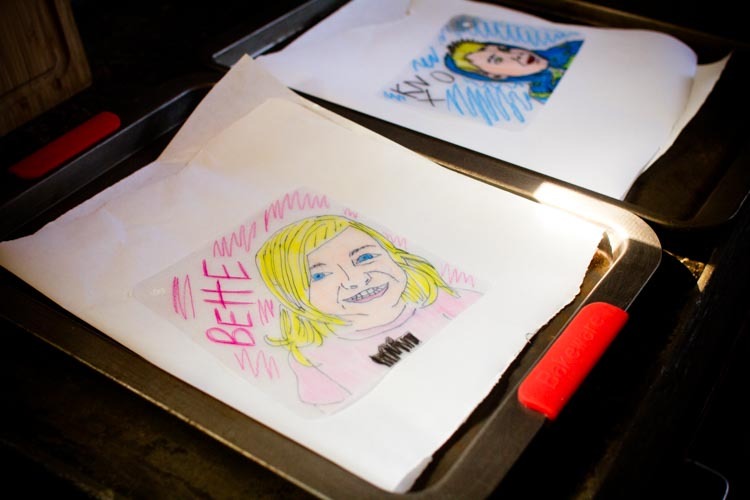 Once you have your photo and other supplies all ready, preheat your oven to 350 degrees and cover a bake sheet with a piece of parchment paper. 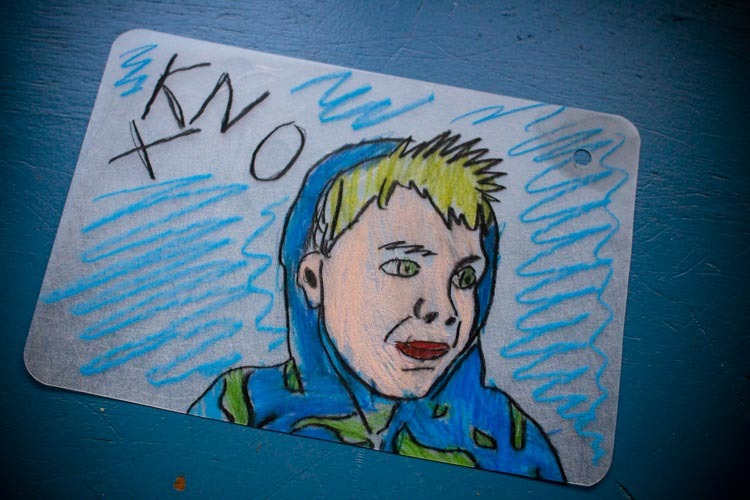 Now, tape the photo to a good drawing surface, and tape a piece of the shrinky dink plastic over the top, making sure the rough side of the plastic is facing up. 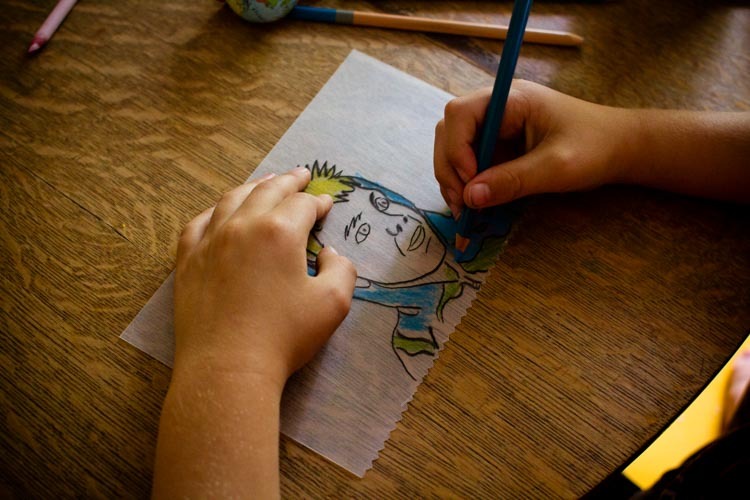 Use a black colored pencil to trace the sketched photo onto the plastic, then use other colored pencils to color the portrait in. We wanted to use ours as labels, so we wrote our names on them, too. 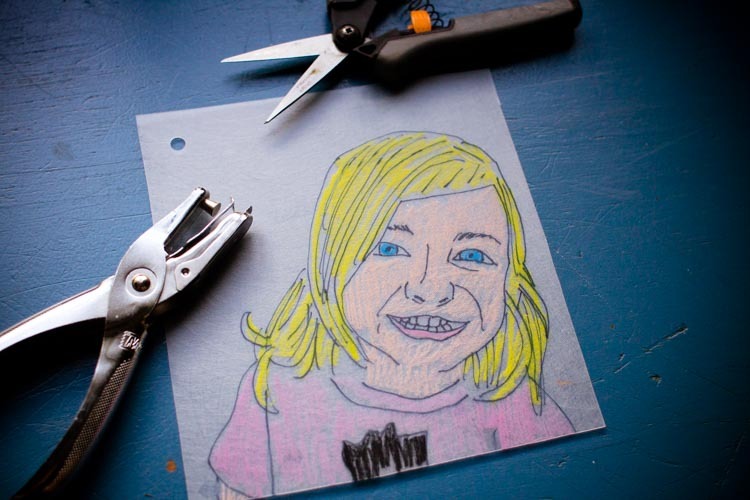 Once the portrait is colored-in to your liking, trim up the edges into a square and use a hole punch to make a hole in one corner. When the time is up, remove the bake sheet from the oven, and—while the shrinky dink is still hot—use a thick towel or pot holder to carefully press it flat. While the shrinky dink cools, loop an 8-inch piece of leather cord around one of the jump rings. 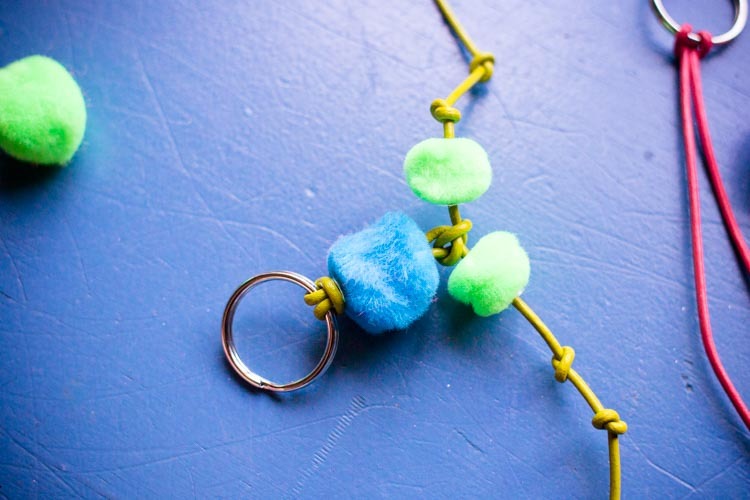 Add a few beads and knots to your taste, then trim off any excess cord. 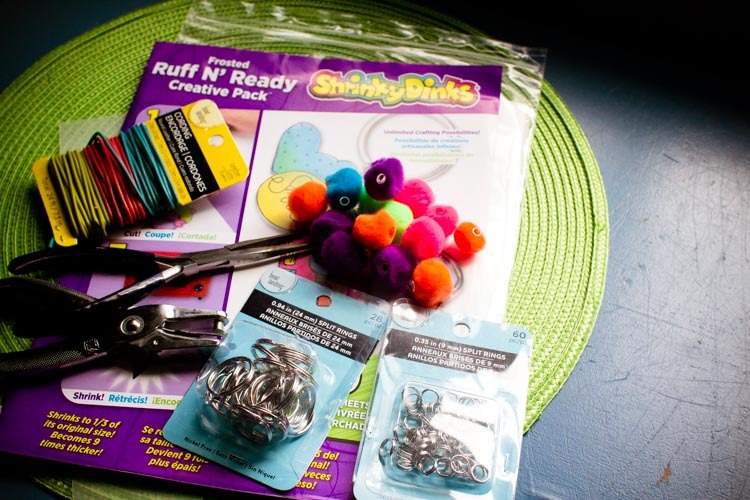 Once the shrinky dink is cool, loop a second jump ring through the hole you punched in the corner of the shrinky dink. 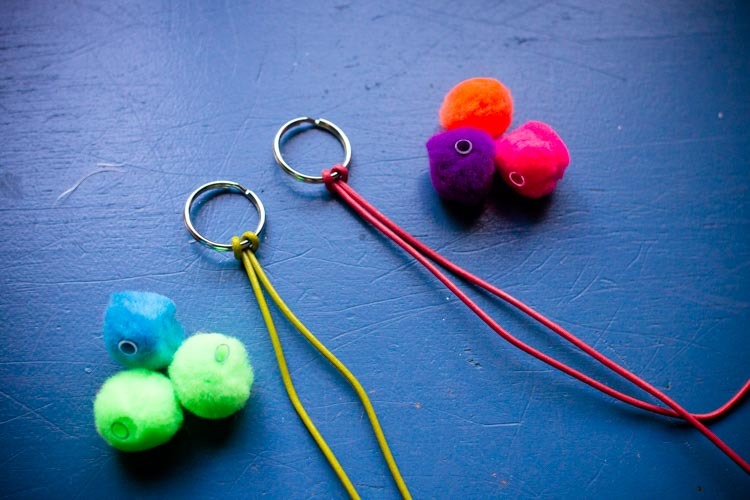 Loop the two jump rings together to complete the key chain, then attach your new self-portrait to the zipper of your favorite back pack or messenger bag.